A guide to the process of recovery from lorazepam addiction. Learn more about the causes of lorazepam addiction and what you can do to help yourself or a loved one and break free from this powerful benzodiazepine. Got a problem with lorazepam? If you’ve found this article, you’re probably getting closer to asking for help. Good for you! We’re here to tell you that addiction treatment works! Addiction is a medical condition. Millions of people who have achieved long term sobriety can attest to this fact: Treatment can help you overcome addiction. Are you ready to take the leap and start a new life? Here’ we’ll review BEST PRACTICES in addiction treatment. We take a look at what can be expected during rehab…and what happens after you complete treatment. Then, we invite your questions about addiction at the end. In fact, we try to respond to all questions with a personal and prompt reply. CALL 1-877-901-5754 to Start a New Life. with an intense focus on using a certain substance(s) to the point that it takes over their life. keep using drugs even when they know it will cause problems. Lorazepam addiction is physically and psychologically rooted. With repeated use, your mind and body become adapted to lorazepam and create a strong desire or need to use this drug again and again. 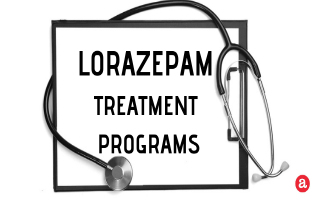 Fortunately, there are several treatment options that work to help address lorazepam use. You can either continue LYING to yourself or seek help to end your addiction agony. Call 1-877-901-5754. Friendly Treatment Advisors are available 24/7. QUESTION #1: Why addiction? Why am I addicted? People have different reasons for why they start taking drugs. Some are trying to cope with past trauma. Others have bodies that are hard wired to react euphorically to the drug. And still others have problems coping with stress or anxiety in everyday life. But the truth is that no one want’s to stay addicted, at least not consciously. For most people, the hardest thing to do is facing the fact that a problem exists. Once you do…you are on the path to recovery. Going back-and-forth with your addiction? Do not worry. Many felt lost long before they found their road to recovery. In 2015, over 27 million people in the United States reported current use of illicit drugs or misuse of prescription drugs. – Results from the National Survey on Drug Use and Health. QUESTION#2: Why shouldn’t I give up? Because more than 25 million individuals with a previous substance use disorder succeeded. They have overcome addiction and are living healthy, productive lives today. Do not compromise with addiction! Act now! Contact us today and let us get you on the right track. We are available 24/7. Addiction can never be resolved only by stopping drug use. On the contrary, treatment works only if you are ready to get to the bottom of the problem. This means you’ll have to work on all the aspects that lead you to lorazepam abuse in the first place. You’ll need to look at the physical, mental, and spiritual reasons that you use. Despite the hardships and challenges addiction brings, recovery is possible with professional help. There is a treatment option suitable for everyone! The type you choose will depend on your personal needs, co-occurring diagnoses, financial resources, and life circumstances. There are two main clinical models used to treat addiction: inpatient treatment and outpatient treatment. Inpatient Rehab. Inpatient treatment models require full-time devotion. These programs provide all the necessary resources and conditions for a person to maximally focus on getting better. Residential rehabs are successful in creating an environment free from outside stressors that may hinder recovery. Inpatient care generally offers a more intensive treatment regime for those with long-term or more severe addictions. Outpatient Rehab. These treatment models are optimal for clients who can’t afford to pay for rehab and for those who are unable to abandon their work and family responsibilities. Individuals who choose outpatient as a treatment option attend meetings and workshops each day and then return home at night. These programs generally high motivation and require a tight support network focused on treatment and recovery. NOTE: Inpatient and outpatient treatment modalities can’t be compared because they are created to respond to addicted individuals with a different lifestyle, different stages of recovery and different levels of addiction severity. This is why it’s highly recommendable to speak with a professional that will advise you on the most adequate addiction treatment option. Learn about your treatment options by speaking with our compassionate treatment specialists 24/7 at 1-877-901-5754. Length of Stay. The specific treatment timeline can never be determined in advance. Each individual requires different treatment schedule and care needs. The past has shown that people benefit from at least 30 days of residential rehab, followed by at least a year of continued care. More severe cases of dependence demand additional support. Those who have abused lorazepam long term and have severe health damages need to stay 60-90+ days in rehab. Recovery can sometimes take even longer, lasting 6-9 months. NUMBER 1 PRIORITY: Finish your treatment once you started! Transitioning from a state of complete unconsciousness to a sudden sense of normality can hugely impact your life. A finished treatment program shows a tremendous accomplishment. But the work does not end here. The next challenge is maintaining the newly gained sense of balance. This is only achievable if you apply all the knowledge gained during treatment. Always remember that the real test begins once you leave the comfort zone and find a way to deal with all the stressors and challenges every-day life brings. Once you are able to control your impulses and seek the strength from within you are on the right track. Call 1-877-901-5754 TODAY to speak with our recovery support staff who will help you turn your life around. Finding the best treatment option for you is just a phone call away. What’s Stopping You From Rehab? Don’t worry, we’ve been there, too. We know what it’s like. We are good at listening, supporting and we can offer you an alternative in accordance with your conditions. Call us at 1-877-901-5754 and we’ll work together to talk through your concerns. Here are some ideas to help you overcome your fears. Concern #1 Leaving family responsibilities. You probably want to be a better parent/partner/child. Honesty is the best tool you can use to improve your communication with your family. When lorazepam is getting in the way, a short term break from all the noise will benefit your entire family unit. Plus, your loved ones will have the chance to participate in your treatment by attending family therapy sessions. If you manage to function without lorazepam for 30-60-90 days in treatment you’ll see rapid changes in the way you feel and the way you communicate with family and loved ones. How can they get by without you in the short term? Ask your partner, extended family, or closest friends to help with your children and home responsibilities. Or, call our 24-Hour Helpline 1-877-901-5754 to learn how family can be integrated into the process. We’ll work together to find a solution that works for everyone. Concern #2 Taking time off work. Keeping an addicted employee, costs companies far more than paying for their treatment. Your addiction treatment is in the best interest of your employer. If you manage to function without lorazepam you’ll be able to do your job better. The legal system is also on your side. Mental health issues such as addiction are legally considered a “disability”. The Americans with Disabilities Act (ADA) protects employees from discrimination on the basis of disability. Further, The Family and Medical Leave Act (FMLA) protects your rights of up to 12 weeks of unpaid leave per year to seek medical treatment. This further allows you to keep your health benefits when getting treatment! Concern #3 Paying for rehab. Rehab can cost you a great deal. This is known to be the addict’s biggest barrier to seeking help. Regardless of this, there are some options for covering your costs for treatment. Government or private resources also provide treatment cost coverage. This is why we encourage you to call us at 1-877-901-5754 so that you can speak with addiction support specialists about these options. We work with many major insurance companies, offer payment plans, and can work with your family to help finance your treatment. STEP #1: Have the desire to quit…for good…for yourself. Think of your lorazepam addiction as a bad habit. All bad habits have one thing in common – they offer an escape from a situation which you believe you can’t handle. Why not look at things this way…? Learn what motivates you to take lorazepam over and over again. There must be some psychological reason behind it. Then, think of an alternative way to handle the situation you perceive as difficult or impossible to manage without lorazepam. Another suggestion? Find something meaningful as a motivation to quit. It can be anything starting from a desire to re-unite with your kids or your spouse. Perhaps you are scared about your health and want to get better, or maybe finances are endangered, or you want to stop facing legal pressure. In order to end the repeated cycle of addiction you need to REALLY WANT TO QUIT lorazepam. If you’ve made this decision…things will start to line up for you. And remember, regardless how difficult it may feel to change… hard work, devotion and strong self-motivation always pay off in the end. 1. Evaluation. You’ll go through an interview, intake assessment, and drug testing when you start rehab. During this initial evaluation your doctor will establish a diagnosis, define the severity of your addiction, and design a personalized treatment plan which will focus on the specific vulnerable elements of your addiction. 3. Main treatments of medications + counselling. Addiction is best treated when counselling (talk therapy) and medications are combined. This allows the brain and body to stabilize so that you can look deeper into the psycho-emotional reasons for drug use. Recovery outcomes depend solely on the effort and motivation of the addicted individual. When a person shows real interest to quit lorazepam, they will do everything they can to reach and maintain their sobriety. But if the addict is forced to go to treatment, then he/she will express resistance and the situation might get worse. The bottom line is this: You cannot help someone who won’t participate in their own recovery. However, this does not mean to give up on a loved one! Instead of trying to convince your addicted loved one to get help through persuasion, discuss the possibility of consulting a professional such a licenced addiction counsellor, a therapist, or a peer. This is a much more appropriate and useful place to extend your energy. REMEMBER: It is not appropriate or recommended that you attempt to provide therapy or counselling with someone facing a lorazepam problem. Find a professional to talk to and/or look into the CRAFT Model of family training. Group meetings with others at similar stages of recovery. One-on-one sessions with a therapist or a substance abuse counselor. Programs linked to treatment centers. Programs tailored to men, women, teens or other subsets of the population. Making the decision to enter treatment may be the best thing that you’ve ever done. This single decision is more important than the particulars. Start on the path to recovery…and recovery will meet you half way! Call us at 1-877-901-5754 and we’ll help you beat lorazepam addiction. You deserve a lorazepam-free life. Isn’t it time that you gave yourself the chance? I take lorazepam occionsally to sleep and I am a senior of 75 yrs old. I have been told that this drug is more dangers for seniors. I’m talking 5 to 19 pills a month. Hi Carole. Consult with your doctor about this.